This post is sponsored by Fort Magic. 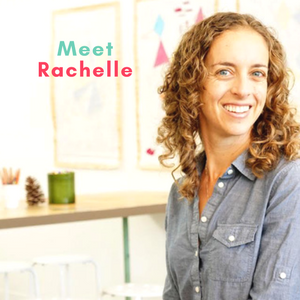 Read all the way to the end for a special offer! 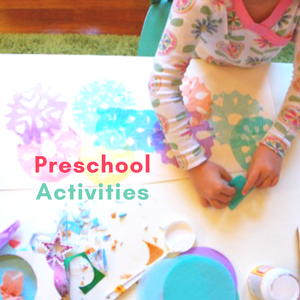 Do you have a child who likes to build forts? 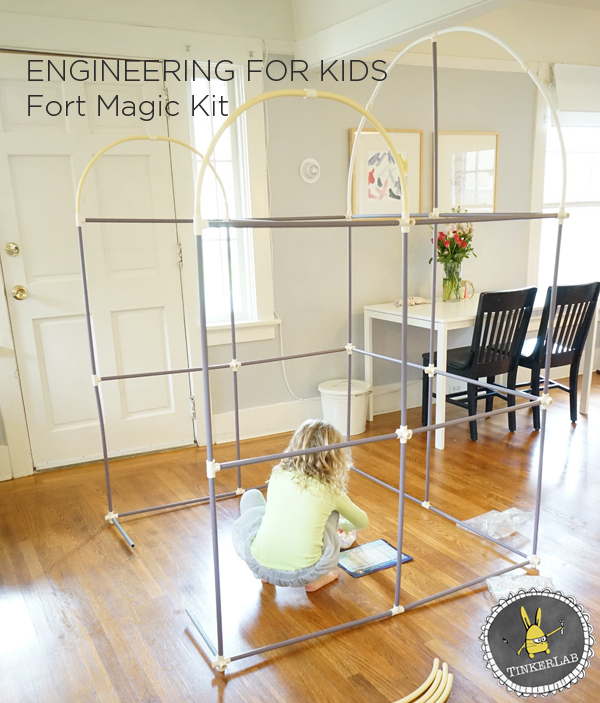 Have you heard of Fort Magic, the fort building kit for kids? 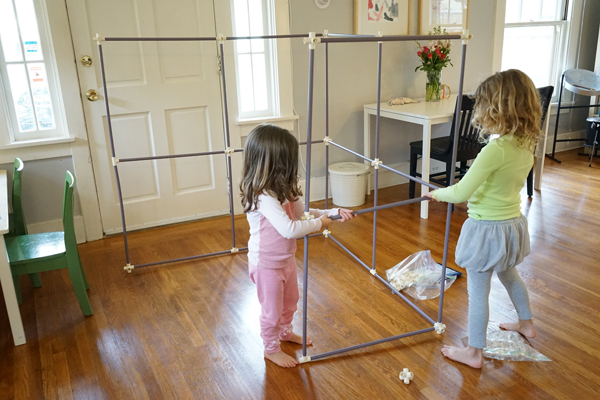 We were first introduced to this super-fun engineering kit for kids over a year ago, and our fort-building is still going strong. You can read our original review of Fort Magic here. Since we first built that submarine, our kit caught the eye of our neighborhood friends and by some miracle it made it back to our house! So what is Fort Magic? 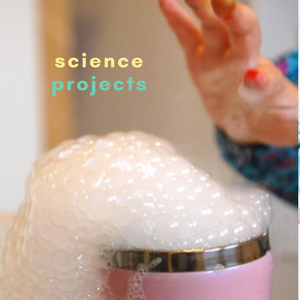 Fort Magic is an innovative fort building and construction toy that enables children to build 3D, kid-created, “life-size” worlds for inventive play! 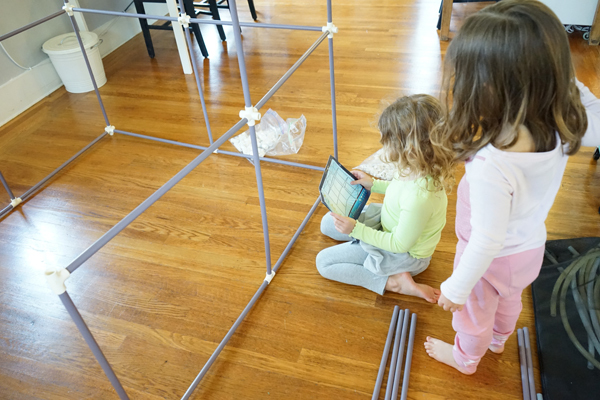 The kit includes 382 poles and connectors that can be assembled to build forts of all kinds. To keep the pieces tidy when they’re not being used, they come in a handy mesh bag that has extra room and an easy-to-close velcro top. If your child enjoys Legos, there’s a good chance that this fort building kit would appeal to them. The kit also comes with a small instruction manual that shows you how to easily assemble things like a boat or tent. 5-year old Nutmeg enjoyed the process of following the instructions to figure out how the pieces could connect. I love that she could do this on her own. To tell the truth, we actually started with a small argument. Rainbow wanted to build a Princess castle and Nutmeg wanted to build a tall rectangular structure. What to do? We compromised and built a short rectangular structure with some arches. And they were both genuinely thrilled. Every now and then the girls would stop and look carefully at the instructions for guidance. And while we started with the instructions, my kids quickly figured out how to manipulate the pieces in their own way. 3-year old Rainbow took it upon herself to decorate the edges with curved pipes. She was very serious about this business. And 5-year old Nutmeg devised a plan to add arches to the top. Before you knew it, the whole thing went up. My kids put most of the bottom together on their own, with Nutmeg guiding her sister along. She turned out to be a very strong leader, and I relished the collaboration and teamwork that went on between the two of them. I was responsible for the top level, and covering it all with sheets. 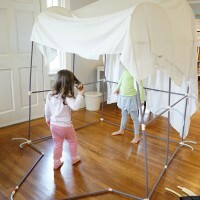 The kit doesn’t come with fabric, so you’ll want to have a few extras set aside for your fort building. We only had two spare sheets, but the kids didn’t seem to mind one bit. After it was covered, Nutmeg added some more pieces to the front of the fort to make an entryway. Once it was all set up, it proved to be the perfect place to snuggle in and watch a movie. The kit comes with instructions to make things like a submarine, castle, tent, boat, and car. The pieces come in an easy-to-close, durable bag. 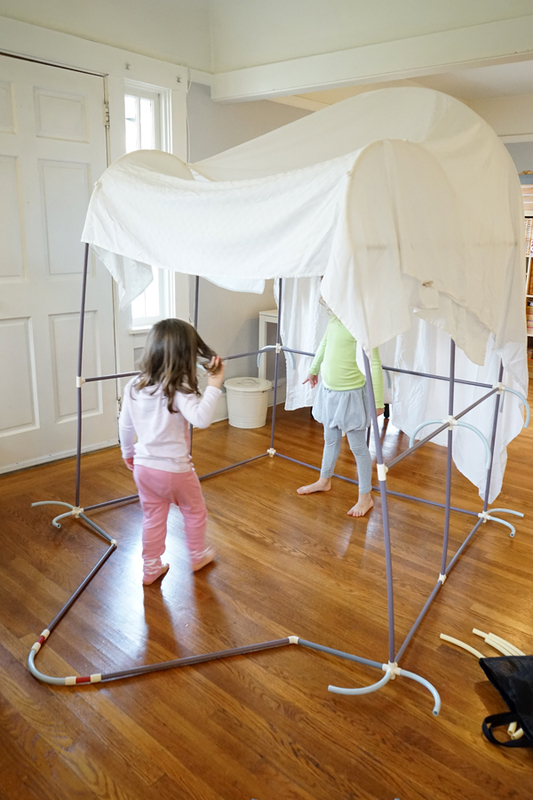 Children can assemble forts themselves, but may need some adult help with tall forts and securing sheets to the fort with fabric clips (clips are included). Sheets are not included, so be sure to have a selection of sheets handy. But stay posted because Fort Magic lets us know that fabric covers are coming soon! 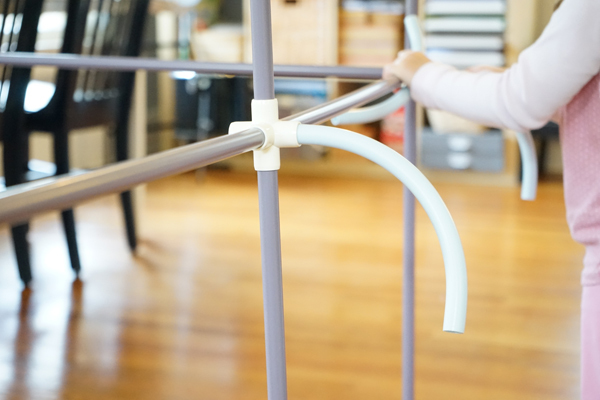 The kit does include a ton of clips for securing your fabric to the pipes. 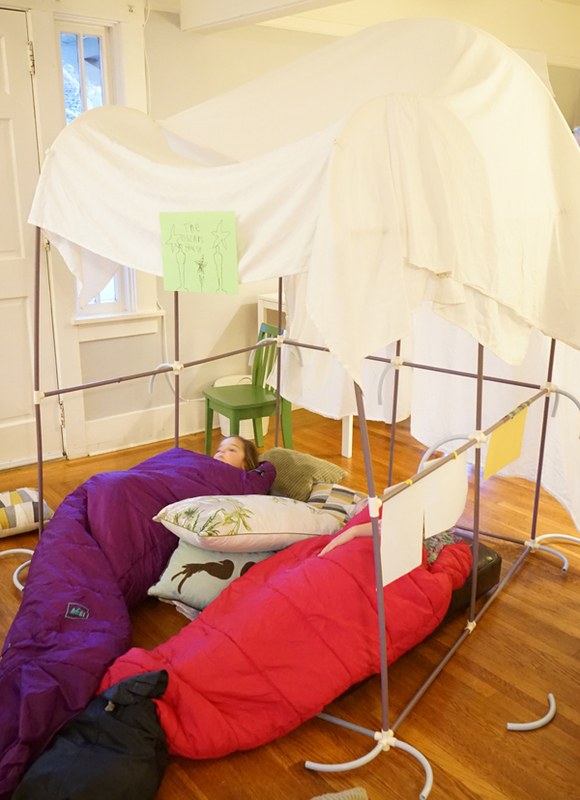 The forts will take over your room, but it’s worth it for the problem-solving, teamwork, and hours of fun involved. We really love this toy, if you’re still wondering if it’s for you, take a look at all these reviews to get your questions answered. Where can you buy this Fort Building Kit? Fort Magic can be purchased right here. We’re excited to share that we will be giving away one Fort Magic Kit, valued at $199 to one of our lucky newsletter subscribers in our next newsletter. 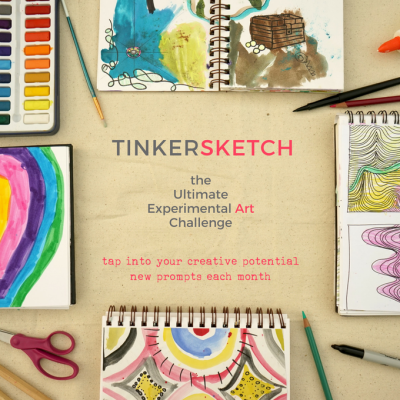 If you’re not already a subscriber, click over here and sign up today.